Originally ceiling fans were powered through water and belts in early times and which was too expensive for the average person to afford. In today’s date, they are powered electrically and even have bulb lights with them. They are not very famous for both for the ability of air flow it has and the visual appearance it has. They now come up in 3, 4 or 5 blades fan. Basically, a new ceiling can come out very pricey now a day, anywhere between thousands of rupees. And we sometimes do not know where to put the money on and then after buying we mostly and more commonly face the ceiling fan troubleshoot problems. Over many frequent years what we have encountered is that our ceiling fan keeps on troubling every now and then it we never learnt from our experiences about how to fix them. Here in the article we have come up with some very frequently asked and appearing troubleshooting problem in the ceiling fan and most commonly how to identify them. Common Problems with Ceiling Fan And How To Repair It? Very often some problems that we hear (which mentioned below), and we don’t know how to repair it. So, here is some of the common issue you face with ceiling fans. This usually happens when the fuses gets off or shocked out and does not work until you change or replace the fuse. If the fan is wobbling or shaking there might be some common reasons like, bent blades, loose screws, warped blades and dusty blades. Many people actually finds the very much gentle whooshing sound of the ceiling fan very quiet soothing and once it becomes louder, it is sign of something that is in problem. If you ceiling fan is not working on proper speed that means your speed settings are not working properly. You may even notice or feel a very sharp flow in the airflow. If the fan is working correctly and only the light kit fails somehow, it is because of the extra voltages or else extra load bearing on the wires. If it gets on and off by its own then check the fuse point and the voltage area or wiring. As sometimes wiring is loose and this happens as the wire sometimes does not get proper voltage too. Confirm that even if its running or spinning in the right directions, sometimes it spins in reverse flow so that might also be the reason of something fishy in working. As they don’t have the wiring too in correct sense, it troubleshoots. If in summer, you have tried to have the reverse your ceiling fan for the further winter but you noticed that there in not change in the direction and flow of the fan blades, there might be several causes to that. You can turn off the ceiling fan and then wait for the blades to come on the full stop before flipping the switch and then on it and that may work well too. 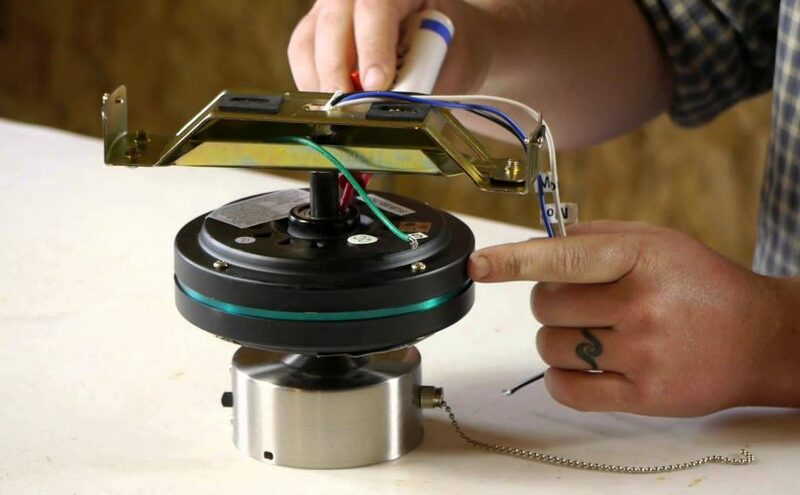 By this we can say that people now frequently faces the problems in the ceiling fan as they troubleshoot very often and stop working and sometimes even due to wrong voltage or more voltage it shocks out the fuses of the board. So, these are some of the most common problems people faces and their reason that why they appear r occur, hoping this would help much and help you stay cool and breezy.